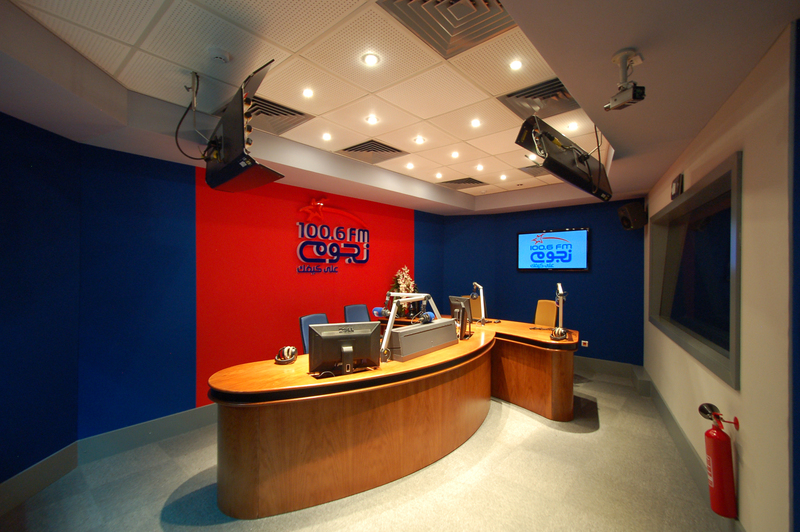 We fitted our stretched fabric system to the Live room and Booth at this radio station in Cairo. 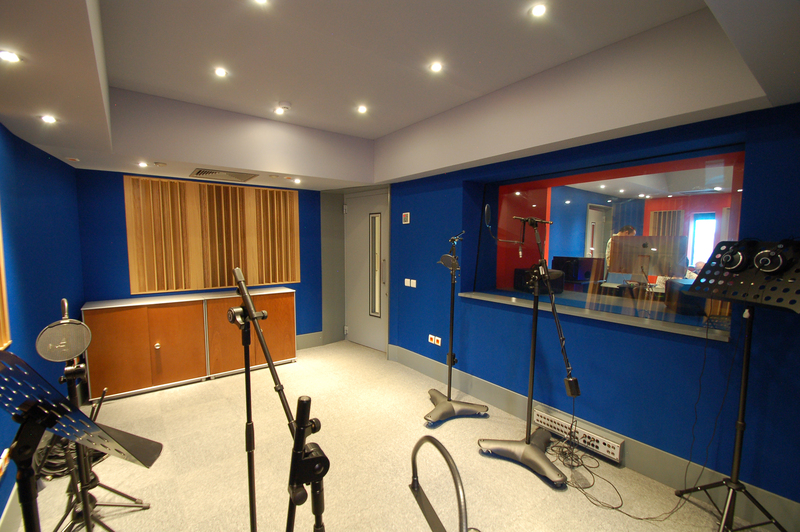 This was another design by the world renowned acoustic designers White Mark Ltd.
We used our 9mm tracking system to apply our stretched fabric finish to all walls and ceilings and also in-between the glass. 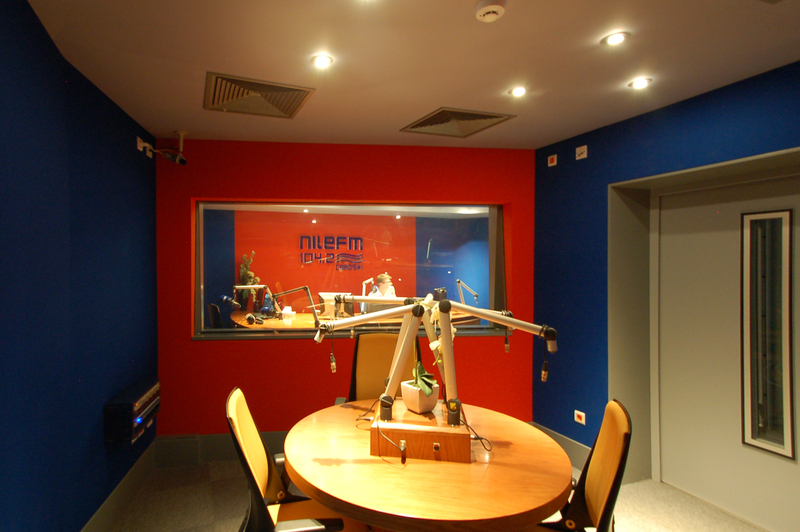 The design of fully isolated studios, means there must also be an isolation break between adjoining windows. Our stretched fabric system is a great way to bridge this gap without any sound transference and to be in keeping with the rest of the room. Our tracking system creates a great finish with neat and precise joins and edges. The change of colour from one fabric to the next created the exact look the clients were after and they were very happy with the finished studios.